If you’re a small business owner considering a business VoIP system, you’re in good company: more and more businesses are turning to Voice over Internet Protocol (VoIP) because it offers cost-effective, professional communications. There are also more options than ever, thanks to advances in telephony systems and in broadband connectivity. The many, many options available can also make for some confusing twists and turns when it comes to choosing the right system. We’ve laid out four things to consider when looking for the right VoIP system for your business. 1) Understand what kind of system you’re in the market for. There’s a lot of industry language when it comes to business communications systems, but some of the most important system types to understand are PBX, Key Systems and VoIP. PBX systems have evolved from the days of operators connecting lines, and nowadays connect office phones to a centralized router. While older PBX systems can’t reliably handle VoIP calls, IP or virtual PBX can. A Key system is better suited for smaller businesses with fewer than 50 employees. With a key system, users manually select lines. With recent changes in technology, hybrid key systems have emerged that act more like PBX. Differences still remain on the user level, though. PBX systems can route calls to a specific user and provide automated call distribution. Hybrid key systems can be answered by multiple people, and may require user to select a line before dialing. 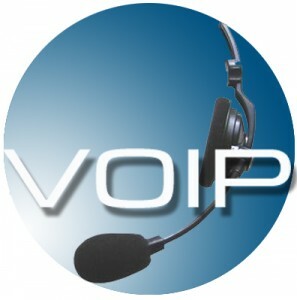 VoIP works by sending communication data through the Internet instead of a phone line. Since it doesn’t have physical lines, it’s easily expandable, and often offers a wide array of features at a reduced cost. Calling costs through a VoIP system also tend to be much lower than with a traditional phone line, especially for long distance and international calls. Here’s some more information on different types of systems. 2) Be aware of the pricing structure. Using the Internet, as VoIP and virtual PBX do, makes these systems very cost effective solutions. But consider aspects of your business that will influence cost, like how many locations your business has, the kind of features you’ll need and whether you’ll need added privacy features like encrypted lines. The up front costs will be the highest, mostly in the form of new phones. Many larger VoIP providers give each phone its own dedicated number, and also base prices on how many numbers you have. So it’s worth keeping in mind that VoIP could get expensive when compared to sharing fewer rollover lines. Virtual PBX and VoIP systems rely on the Internet, which means they have the same vulnerabilities as any other device connected to the Internet. To avoid fraud and unauthorized access, you’ll want to put some securities in place. A voice firewall can secure a phone network and monitor it. If your business takes credit cards over the phone or deals with health care-related privacy issues, additional securities like encryption and user authentication may be necessary. 4) How reliable is your Internet connection? If you have a shaky connection, take steps to make sure you have enough bandwidth before switching to a system that uses the Internet. 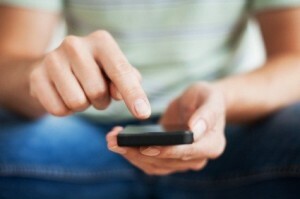 With VoIP or virtual PBX, no Internet means no phones. You might even want to consider a secondary Internet connection specifically for VoIP calls or to switch to if the primary connection fails.